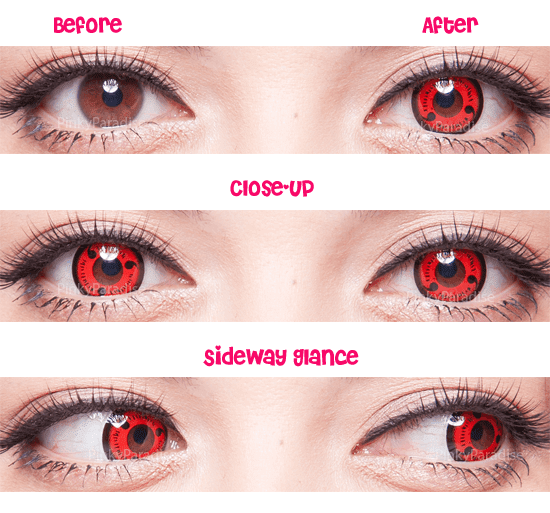 This colored contacts can be used as Cosplay Contacts for character Sasuke Uchiha, Itachi uchiha, Kakashi Hatake, Sarada Uchiha, Naruto, Obito Uchiha, Madara Uchiha, Akatsuki, Shisui Uchiha and Izuna Uchiha. 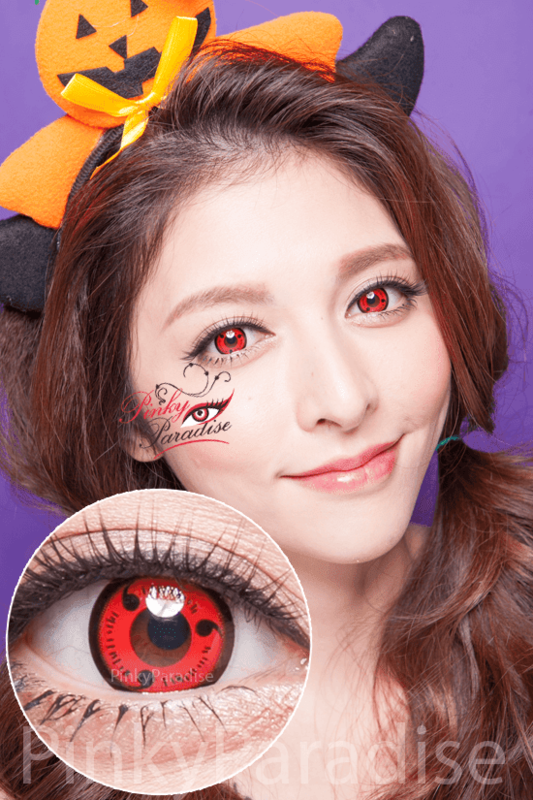 I was a little worried at first because when I tried the sample contacts sent, they were fairly thick and irritated my eyes when I blinked. But, these were fantastic! As soon as I put them in there was no discomfort at all and my eyes didn't get dry even after wearing them all night! Would highly recommend.